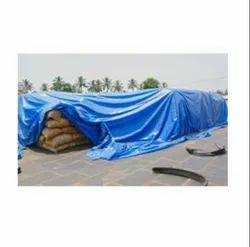 HDPE Waterproof Tarpaulin with various Standard Size available. GSM- 120, 150, 200, 250 & 300. Being a customer oriented enterprise, we are engaged in providing a wide array of Colored HDPE Tarpaulin. We are offering HDPE Tarpaulin Sheet to our client. We are one of the leading providers of a range of HDPE Tarpaulin Sheet .